I think the answer is that in 1959 the York road dual carriageway, with a reserved tram track as a central reservation, didn't extend as far as Seacroft Hospital. It stopped just short and became a single carriageway shared by motor vehicles and trams. The dual carriageway must have been extended later when it no longer mattered that the 2 roadways were on the same level. This comment is based on looking at old tram photos on Leodis. 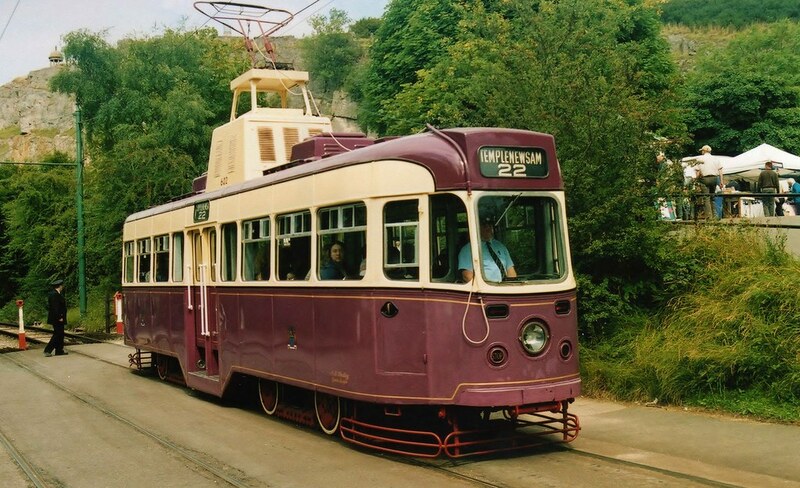 The original link to the document is "broken"
Do your have a picture of one of the last Trams, it was a single decker, from memory it was Purple / Cream and i remember it swinging around Hunslet Hall Road onto Dewsbury Road by the Junction Pub. i would think this was in the late 1950s. LEEDS 602. Now at the Tramway museum, CRICH. Brunel wrote: LEEDS 602. Now at the Tramway museum, CRICH. Cheers Brunel for the links to those nostalgic photos . I don't recall the purple/cream ones but that's no surprise with my poor recollection of old(ish) Leeds! I do though recall (hopefully right ) some white only single decker trams running on the York Road route. There may have only been perhaps a couple of them in operation for a short while before the tram system ended. I wonder if my recollection is correct? Your recollection is much the same as mine. Only a couple of single decker trams but I do remember the purple and cream livery. With my little friends at the time we used to see them on York Rd and we called them either " Coronation Trams" or "Racing Trams". I was delighted to travel on one once with my mum, probably in 1955/56. I remember getting on it at the Shaftsbury but I don't remember whether we were travelling to Crossgates or Temple Newsam. Ironically we thought that LCT was carrying out a trial of these prototype "fast" and "futuristic" single decker trams trams before investing in a new fleet. We didn't know that the decision to get rid of Leeds trams had already been taken in 1953 and these 2 trams were the last gasp. I was very pleased to see the one preserved at Crich, pretty much as I remembered it, but unfortunately they were not running it the day I visited. No 602 was the most advanced electric tram in the country at the time. There were three single deck trams, Nos 600/1/2. 600 was an extensive rebuild of ex-Sunderland 85 using the body as basis and with bogies and other equipment from various sources. It entered service in Aug 1954 painted deep red and white. Most of its short Leeds career was spent on the Hunslet route, though there were recorded trips on the Dewsbury Road and the Moortown-Roundhay circular routes. It was taken out of service 27 Sept 1957, and eventually ended up at the Tramway Museum Crich, where I believe it still resides. 601/2 had bodies built by Charles Roe of Crossgates, and were fitted with bogies and electrical equipment at Leeds' Kirkstall Road works. 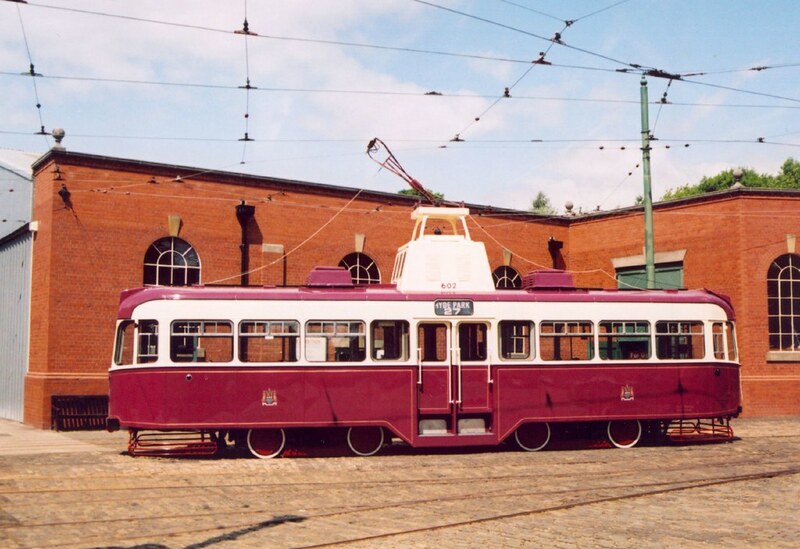 Although nearly identical in appearance (the trolley towers differed) 601 had conventional tramcar electrical equipment and drive, whereas 602 had very modern systems, including electrically operated braking. Both cars went into service on 1 June 1953, painted royal purple and ivory, in celebration of the coronation of Queen Elizabeth II. They worked on many of Leeds' surviving tram routes until the latter part of 1954, when they joined 600 on the Hunslet route until Sept 27 1957 when they were withdrawn along with 600 when the Hunslet route was closed. Both were sold for preservation, but 601, stored on open land by the Middleton Railway Trust, was set on fire by vandals in Sept 1962, finally being dismantled for scrap by trust members in 1964. 602,like 600, ended up at the Tramway Museum Crich. As ever, information taken from "Leeds Transport, Vol. Four" (Jim Soper). Thanks blackprince and Jim for your help and information . My recollection was that there were at least 2 single decker all white trams running on at least the York Road route that were introduced shortly before the end of trams running in Leeds but it seems I may be wrong. I will be grateful therefore if someone could please confirm that I am wrong or right. Thanks. PS. As a kid I loved the tram ride to Templenewsam. I seem to recall a fairly sharp bend that caused some problems just before the final ride up the slope to the terminus. Your mention of sharp bends etc. reminded me that the Middleton Tram that used to come flying down through Miggy Woods at times they used a real Boneshaker, it was the very old type with the backrest on the seats just a strip of wood . don't recall this type in use anywhere else, although when my Brother and I were going to School down York Road there were the Trams with open fronts upstairs ( Fabulous for us kids, regardless of the weather ) and they may have had these rather primitive seats upstairs.